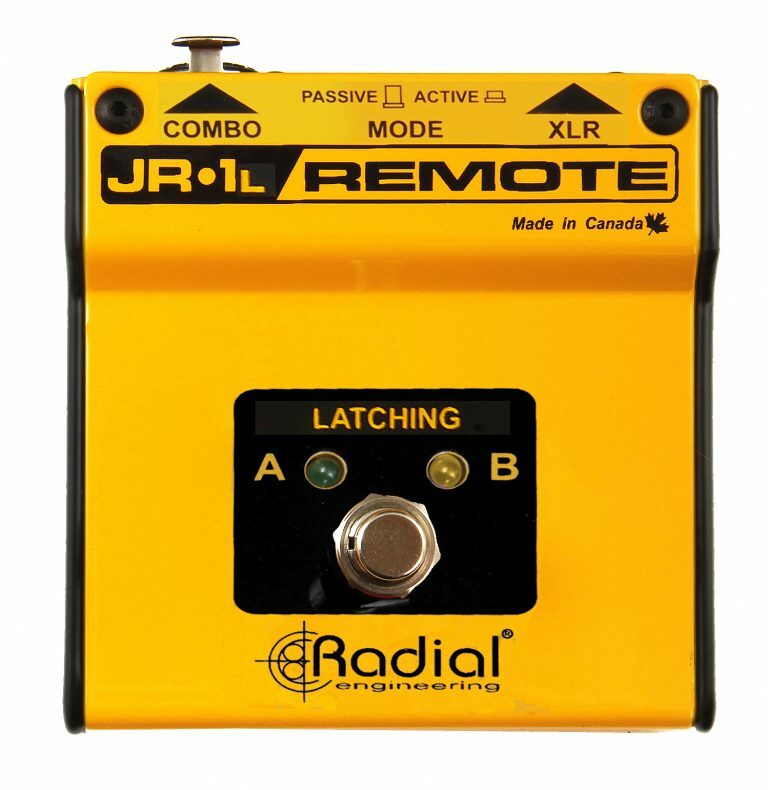 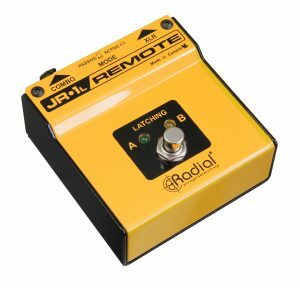 The Radial JR-1™ is a single action footswitch designed to remotely control a function such as selecting A or B outputs. As a passive device, it does not require any power to make it work. 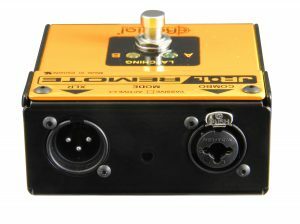 Instead, it employs a simple mechanical switch that shorts the positive with the ground using either ¼” or XLR connections. 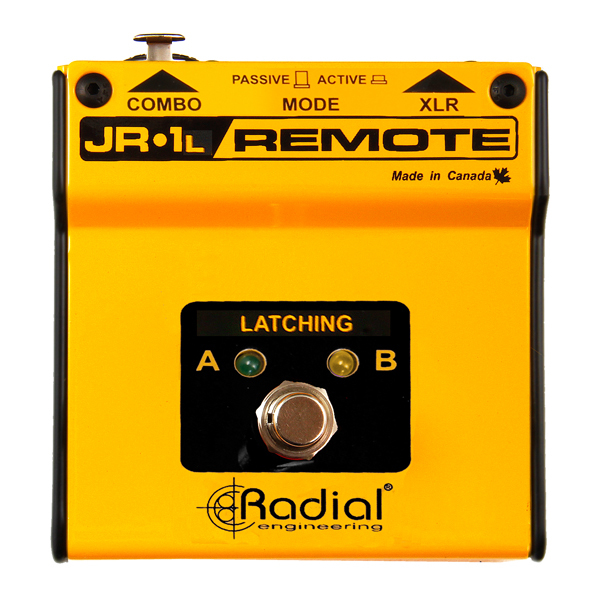 The JR1 is available in a ‘L’ latching version that requires pushing on and pushing off the footswitch to sort and release the contact, or a ‘M’ momentary version that shorts the contact when depressed, and releases as soon as the switch is released.